The heavens suffered from diuresis after a full day of intense heat and humidity. The asphalt road sizzled as the unceasing rain poured into it. I was brewing tea when all of a sudden all the water from the sky came down with a vengeance. Babar, my dog, and I rushed towards the front door. The amount of downpour washing away the dust in the air of this arid city is a beautiful sight. Babar wagged his tail excitedly and I was smiling ear to ear. We both love the rain. My plants on the front yard lifted their heads and arms to welcome the long awaited shower. I can almost see them smiling too. I looked gratefully at the sky and sent my thanks to the heavens for this blessing. The terrible heatwave that cursed the land for more than a month is now over. Relief for all has come. Of course, I am trying not to think of the flooding that will inevitably follow this. I wanted to enjoy the cool, wet weather for now. 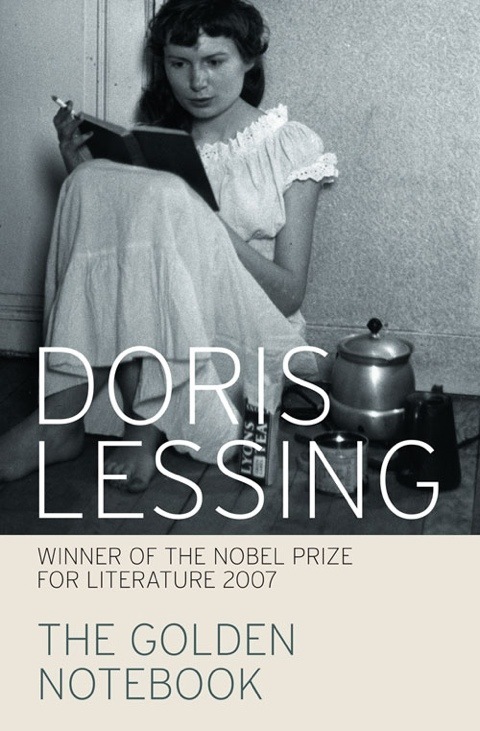 So with a warm cup of darjeeling tea and my dog dozing cozily near my feet I settled on my cushiony sofa and I opened the book, The Golden Notebook by Doris Lessing, with anticipation. The one I picked from my bookshelf to snuggle with in this special occasion. Finding this book was quite a tale in itself. I have been reading lots of novel in iBooks and Kindle lately but the novelty of reading books that way was fading for me. I started longing to hold a real book in my hands. I was craving to feel the texture of the paper as I turn the pages with my fingertips. To breathe in the scent of an unopened paperback. I was thinking about this when my feet led me to a bookstore one Sunday afternoon after totally abandoning the the weary task of trying on new clothes. Discount sales were going on and madness greeted me at every shop I poked my head into. Scanning the titles on the shelves I was alarmed to see how the books in the fiction section were greatly reduced. The corner was looking so forlorn with only a scanty selection of best sellers huddled together. Children’s interactive books dominated the aisles now. Last time I was there the shelves for fiction were occupying half of the area. Books then were easy to find with the author’s name arranged neatly from A-Z. I wondered if most of the publishers are now opting for the e-book edition of novels. I can see the appeal in trying to cut down production costs but it saddens me. Dejected that there were very few choices left to choose from, I browse the titles unenthusiastically not at all hopeful that I would find the kind of books that will be worth my time to read. I picked up an Amitav Ghosh novel since someone recommended it to me. But still I was not satisfied. I want a book to speak to me. To beckon me. I was about to give up when a book hidden from under two more books caught my attention. The cover was a black and white photograph of a woman immersed in a book. I could instantly relate. The title was familiar and promising. ‘ The Golden Notebook by Doris Lessing.’ Now the word notebook for me is romantic. As a young kid my notebook where I scribbled my thoughts was always firmly clasped to my chest. I love notebooks. I fell in love with the book instantly before knowing what it was about. Now, isn’t that the most charming and captivating first sentence for a cozy weather such as this. But I have already enjoyed, Julian Barnes ‘The Sense Of An Ending’ on a rainy day very much like this last year. I was hoping for a similar experience. This is not really the kind of novel I want to get lost into today. Come on, it’s raining. I was thinking more along the same genre of ‘ The Book Thief ‘ or the same tone as “Inheritance of Loss’ or at the the very least something poignant as ‘Atonement ‘. With” my enthusiasm doused I closed the book. I am sure it’s going to be an amazing read later on. Just not today. No. Not today. 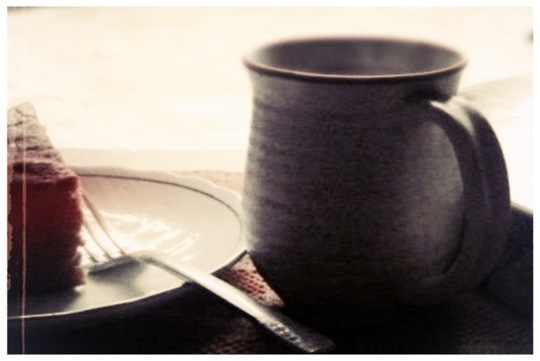 I sipped my tea, watching the rain. Babar, my dog is awake and begging for a tummy rub. I delightfully obliged. RAIN HAS ITS USES AND IS BEAUTIFUL IN ITS OWN RIGHT!!!! I have been there. Disappointment. I never pick up the book again, never wrap my mind around the possibility. I SO enjoy your writing, however. One of the few blogs I choose to read first.